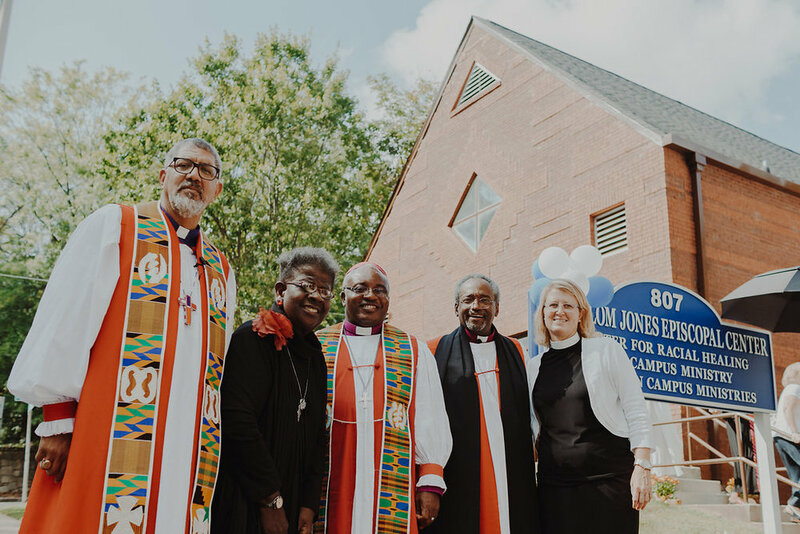 Brookhaven, Ga. -- St. Martin's Episcopal School celebrated the formal installation of Dr. Luis A. Ottley as its third Head of School on Sunday, Aug. 27 at St. Martin in the Fields Episcopal Church in Brookhaven. The installation was presided over by the Right Rev. Robert C. Wright, Bishop of the Episcopal Diocese of Atlanta, and Ottley's father the Right Rev. James Ottley of Miami. Dr. Luis Ottley began his tenure with St. Martin's in early July. Dr. Luis A. Ottley and his wife, Carrie Eagles, along with the Right Rev. Robert Wright. 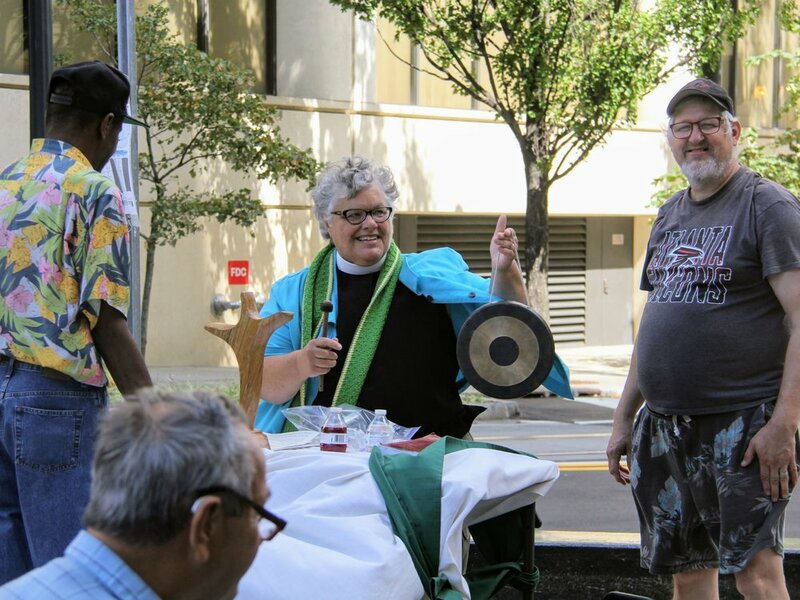 Saint Anne’s Episcopal Church, Sundays at 9:15 a.m., through August 6 (except for July 23). Located at: 3098 Saint Anne's Lane, Atlanta, 30327. 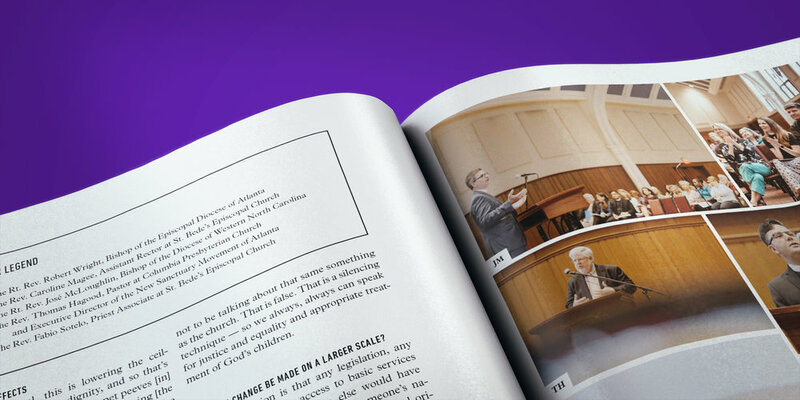 What happens when a woman raised as a fundamentalist Baptist studies a Jew’s book with a bunch of Episcopalians? In an interview with the Ledger-Enquirer in June, Debbie Anderson reflects on her five-decade personal journey growing up with KKK supporter to now teaching diversity and inclusion as the program director of Thompson-Pound Art Program. When Anderson was in eighth-grade, she wore for show-and-tell her aunt’s KKK robe, symbolizing the intolerance she was taught in church and at home. As program director, Anderson teaches 60 diverse children (age 6-11) and 20 teen interns and mentors religious tolerance as they work together to create a unity art piece and performance at The Chattahoochee Valley Episcopal Ministry’s free week-long summer day camp. Bells are Ringing at CEC! 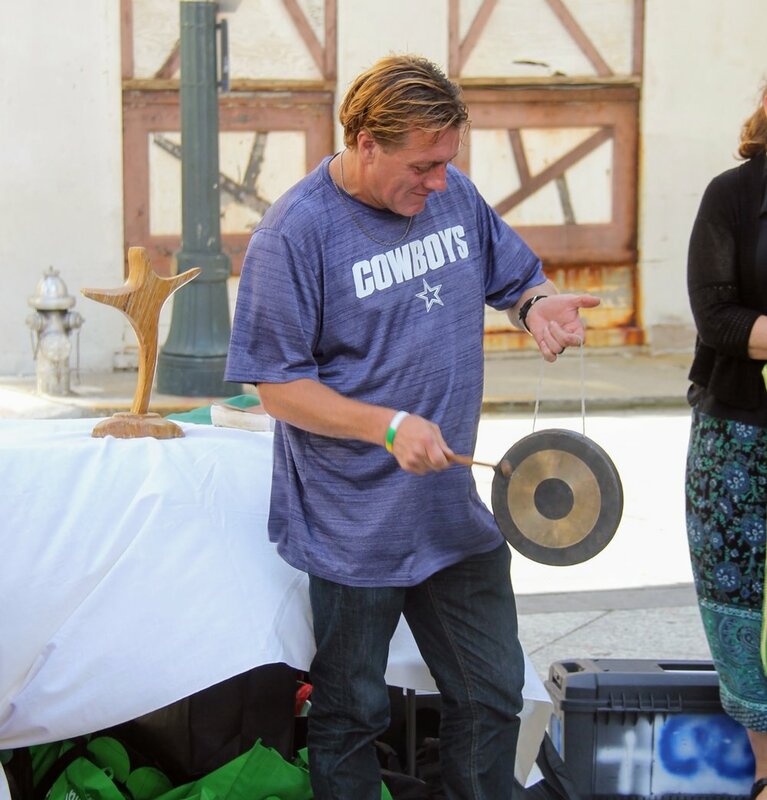 Ever wanted to try your hand at hand bells? Always harbored a secret desire to ring? After all, you only need to learn two notes! Now your dream has come true! At this time, both adults and kids – 6th grade and up – are ringing together in a 3 octave team, performing for special events and holy days at CEC and with our chimes at Wal-Mart for the Salvation Army Bell Ringers during the Christmas season with the Marietta Golden K Kiwanis. The dream is to gather enough adults and kids to form two bell teams, or one 4-octave team with a rehearsal every week. Pumping Bronze has been ringing both as a team and as a 2 to 4 ringer malleted bell tree. We’ve also chimed at church and out in the community and rung weaves as duets. Appleton Episcopal Ministries held its annual Service of Recognition for The Order of St. Katharine deaconesses, the first Saints of the Diocese of Atlanta, on Sunday, June 4, 2017, at St. Paul’s Episcopal Church in Macon, GA. The commemoration honored the women of the early Appleton Church Home who spent their service caring for girls orphaned from the Civil War. 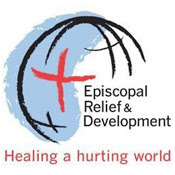 “Let us remember together these deaconesses not only as the first saints of the Diocese of Atlanta, but also as pioneering women in ministry and as ministry innovators...serving those on the margins,” The Reverend D. S. Mote, who holds a doctorate in religion, and is Missioner for Engagement and Innovation in the diocese, said in her Homily. 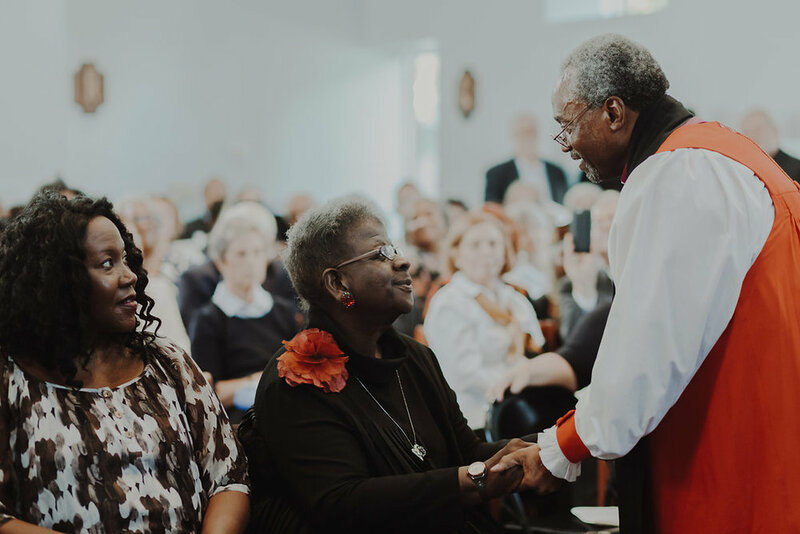 In November 2016, the 110th Annual Council of the Diocese passed a resolution making these deaconesses the first saints of the Diocese of Atlanta. 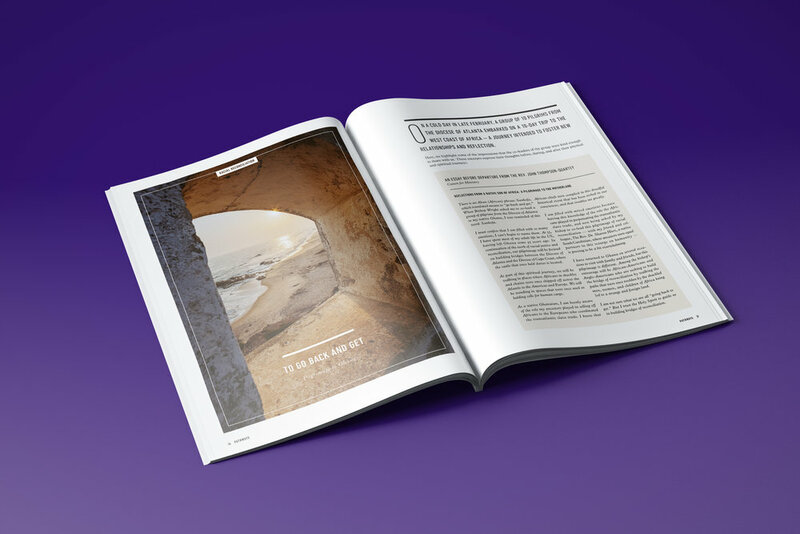 The office of deaconess is recorded in scripture – a ministry to the poor and the sick, according to The Reverend Mote. She added that the office became largely unused after the Middle Ages until the Lutheran Church and the Anglican Church revived it in the mid-1800’s. In 1882, Bishop of Georgia John Beckwith performed the ceremony of setting aside deaconesses for the work of the church at the Appleton Church Home, opened in 1870. The Appleton deaconesses serving between 1870 and 1935 were Sister Margaret, Sister Katherine, Sister Sarah, Sister Mary, Sister Maggie, Sister Louise, Sister Elenor, Sister Kate, and Sister Sophie. 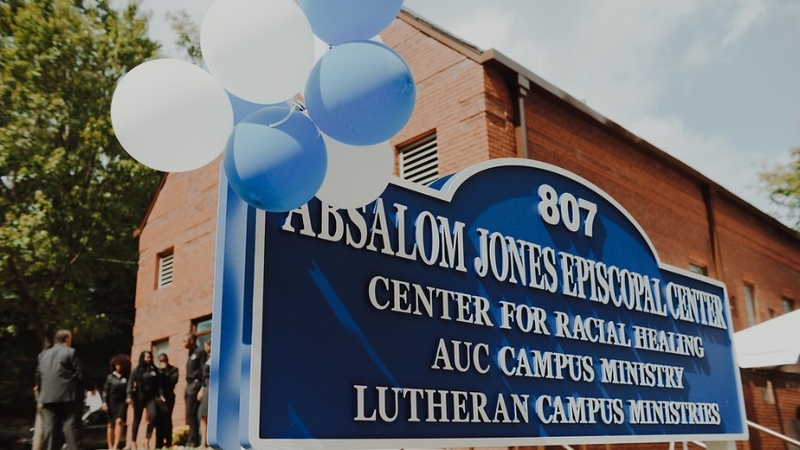 This summer, Appleton Episcopal Services opens the second Children’s Defense Fund Freedom School in the Diocese of Atlanta at St. Paul’s in Macon - the legacy of Appleton and the Deaconesses to serve children continues. Read the full text of The Rev. Donna Mote’s homily here and to learn more about Appleton visit their website here. Church of the Common Ground is a church community on the streets of Atlanta, sharing the Good News that we are all God’s Beloved. 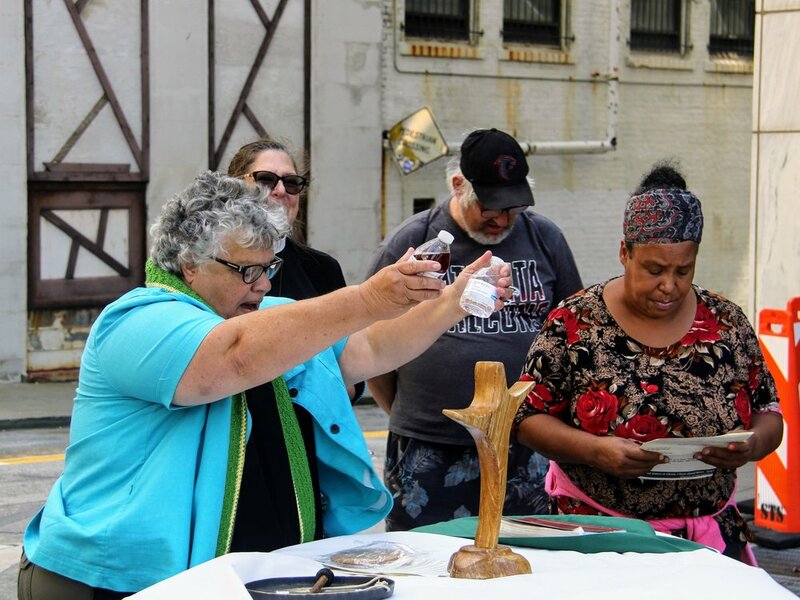 As a worshiping community of the Episcopal Diocese of Atlanta, Common Ground serves the pastoral and spiritual needs of women, men and youth who live on the margins of our city. Some struggle with chronic physical or mental illness, lack of employment, or fractured families. Some have no place to live or experience housing insecurity. 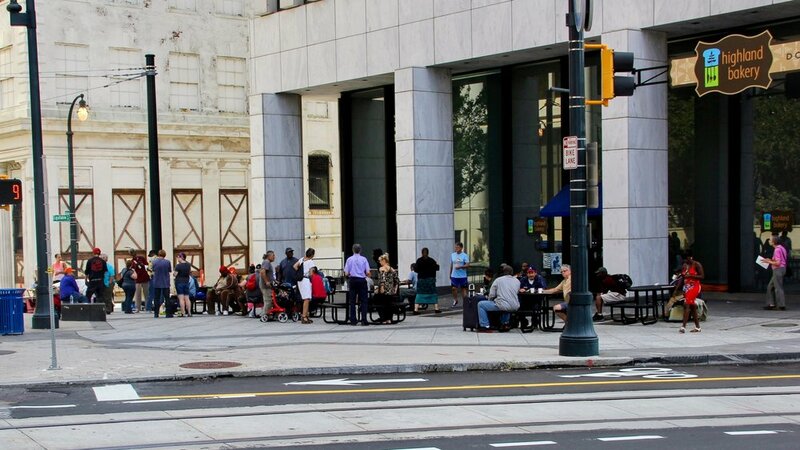 Our congregation is a “church without walls.” We can be found in the heart of downtown Atlanta, near to the neighborhoods, shelters, parks, and public spaces where our members live. Common Ground strives to be a faithful and consistent witness to Christ’s love for all people. Sunday services are held each week at 1 p.m. in Woodruff Park in downtown Atlanta. Follow us on Facebook. To join, volunteer, or contribute, please call 404-873-7667 or email info@churchofthecommonground.org. View beautiful photos from the Church of the Common Ground Sunday service from May 28, 2017.